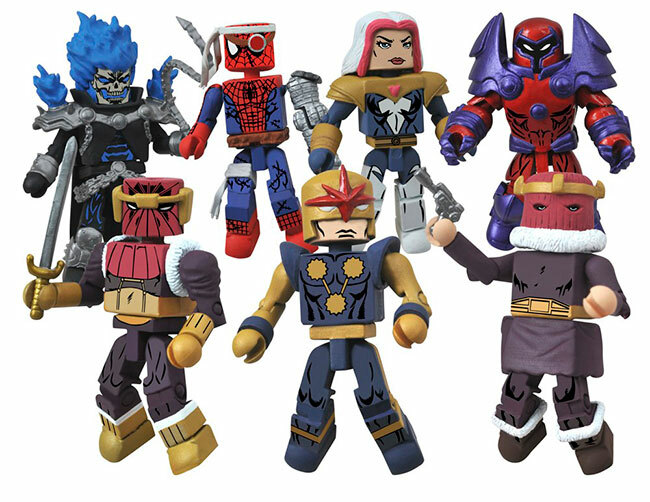 On Sale This Week: Onslaught, Atom Eve, Domo and Spider-Man! September 2013 - It's another new Toy Day, and another batch of brand-new releases from Diamond Select Toys! 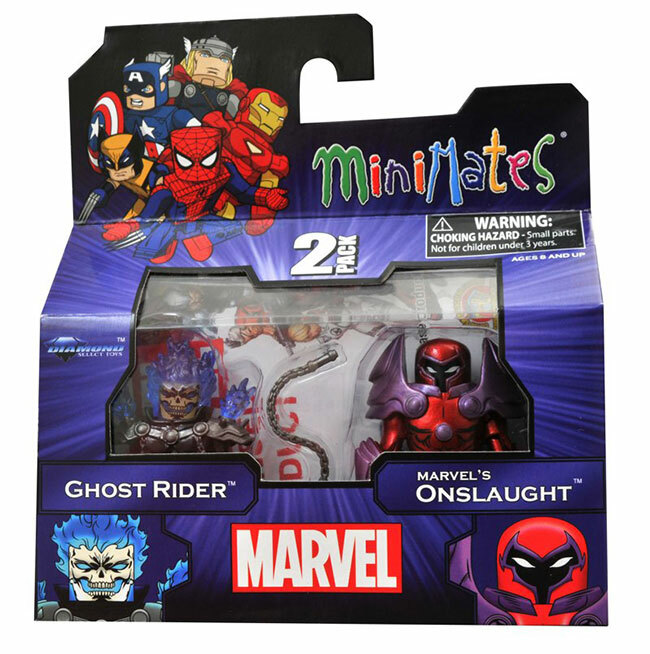 Hitting comic shops today are the Domo Vinyl Bank, Atom Eve Femme Fatale Statue, Spider-Man Silicone Tray and the fan-choice Marvel Minimates Series 50! There's something for every kind of comic fan! Read on for details, and if your shop doesn't have it, tell them you want it! Invincible's Atom Eve Joins the Femme Fatales Statue Line! December 2012 - Springing from the pages of the Image/Skybound comic book Invincible, it's Atom Eve! Samantha Wilkins, the matter-manipulating heroine created by Robert Kirkman will join her fellow comic-book beauties Dawn, Kabuki, Lady Death and more in the Femme Fatales statue line. Depicted soaring into action with her signature energy effect, this Jean St. Jean-crafted PVC statue of Invincible's love interest stands 9 inches tall and will come packaged in a window box. Pre-order today at your local comic shop or favorite online retailer! Coming summer 2013!